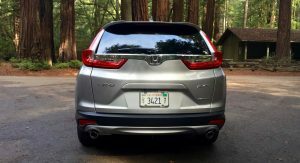 The 2017 Honda CR-V is the poster child for not messing with a good thing, but still finding things to fix. 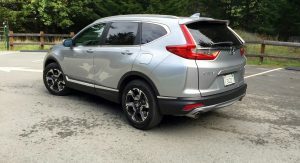 It’s really a very new CR-V, yet it looks pretty much like the old one. 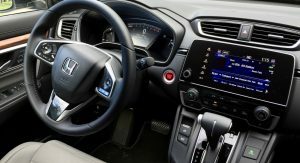 Considering it’s Honda’s best-selling model in the U.S. some months, there was a lot paying customers were liking about the version that’s been on sale for five years. But Honda thought there was room for improvement, and they were right. 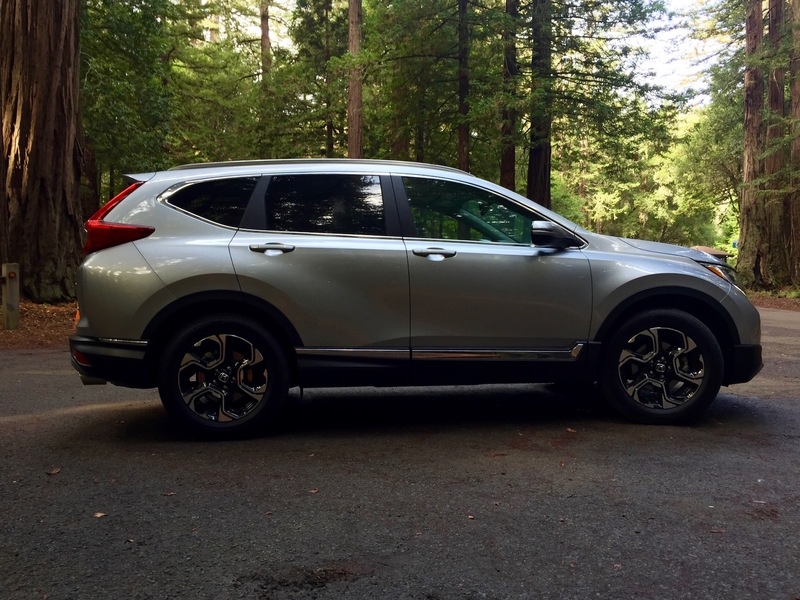 The 2017 CR-V is hard to fault. It’s easy to make a case for it being the right car for pretty much all occasions. So start getting used to it. But back to the looks. 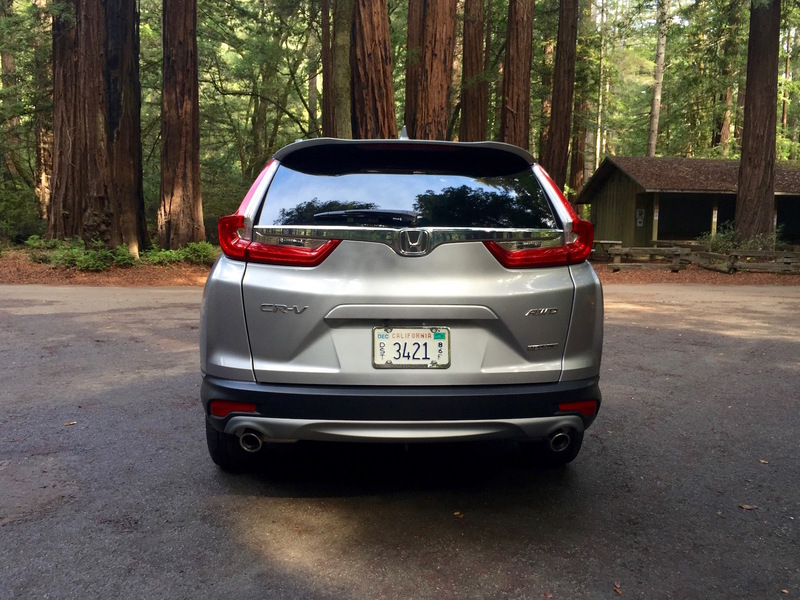 The CR-V may ride on an all-new platform derived from the current Civic, but it’s a bit longer and taller than the car it replaces. And yet it cuts a shape that’s very similar to the outgoing model. 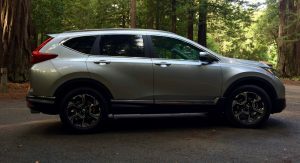 Unlike with the Civic, Honda didn’t feel it had to reinvent the CR-V, and hundreds of thousands of owners would probably agree. Few concessions have been made to round off what remains a practical box. 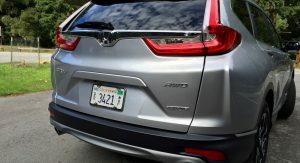 The CR-V continues with its tall Volvo-esque taillights and the new model is 1.4 inches taller than before, according to engineers. 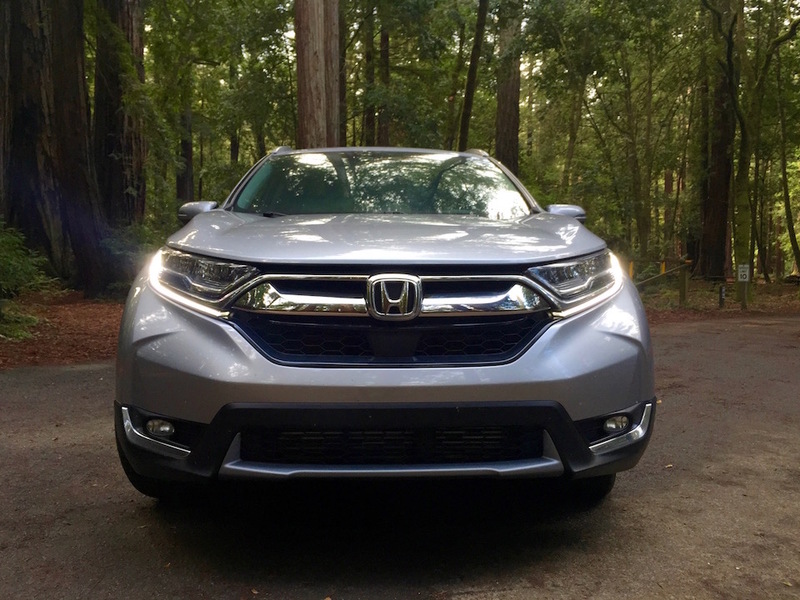 While new LED headlights adorn the Touring model as has become a pattern on new Hondas, even the face of the new CR-V looks a lot like it used to. 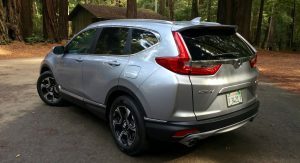 Again, not that faithful CR-V buyers will mind and prospective buyers are also unlikely to be phased by the evolutionary design changes. Most versions ride on 18-inch wheels, which somehow get swallowed up in the sides of the car. 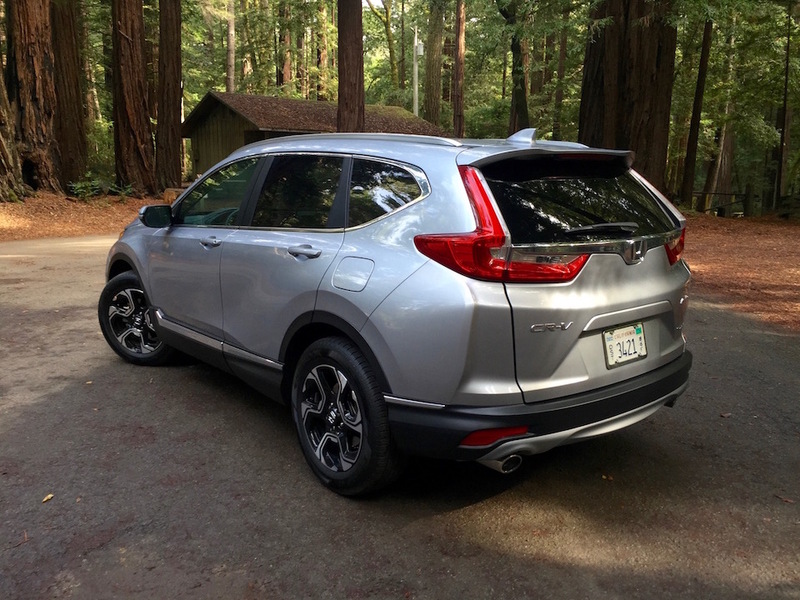 But credit to Honda to not overdo it with 20s or some other wheels that have no place on a sensible crossover. 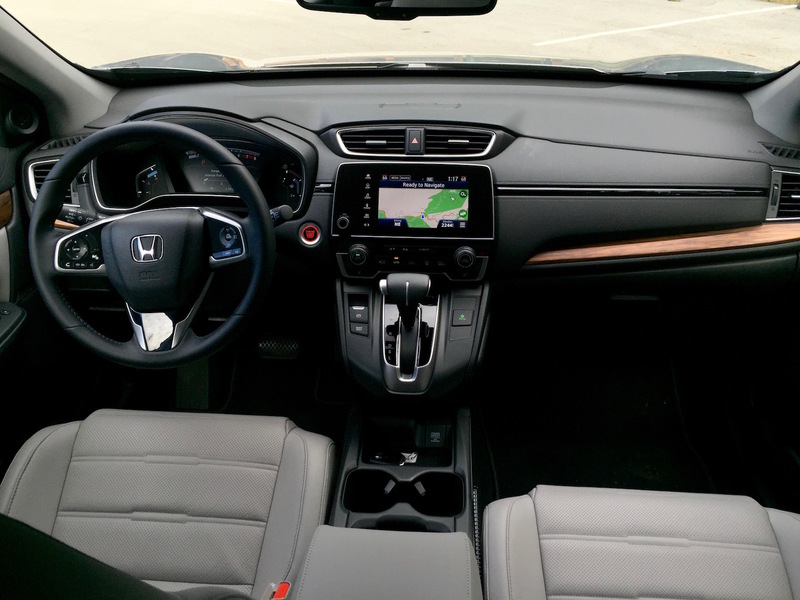 But like the Civic in this regard, Honda upped the CR-Vs game inside. 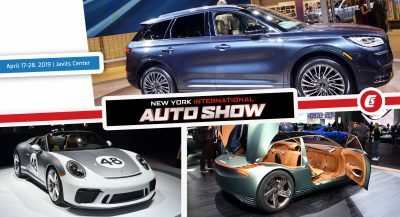 It’s immediately apparent when comparing it to the utilitarian outgoing model, and pretty much every other mainstream crossover in this $25,000-$35,000 range. 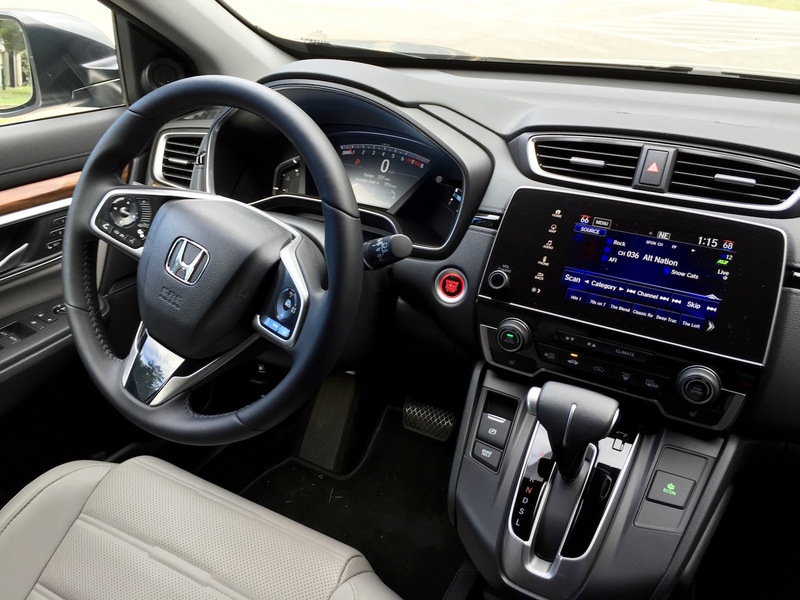 Especially on the most expensive Touring model, the CR-V’s interior is starting to punch above its weight into a class above. 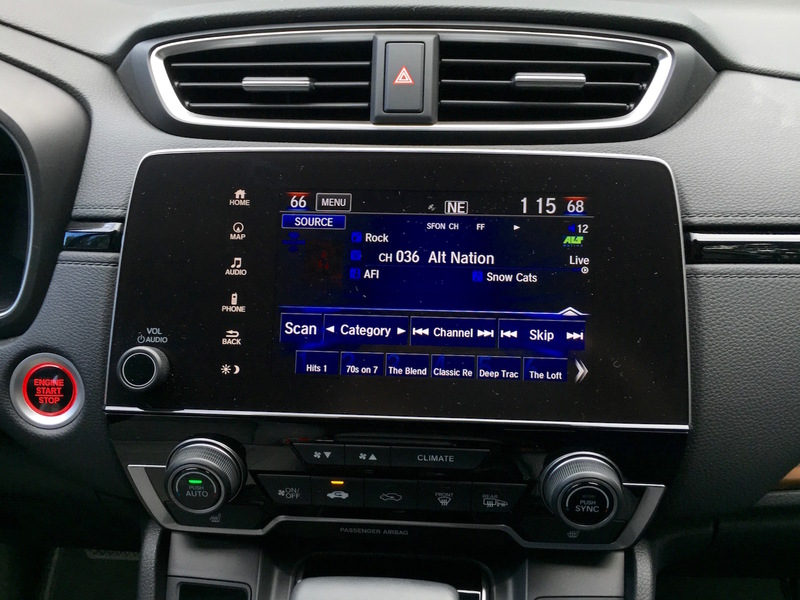 While materials aren’t going to make Audi dealers anxious, getting into a Toyota RAV4 or Nissan Rogue after being in the Honda makes you feel bizarrely transported to last decade. 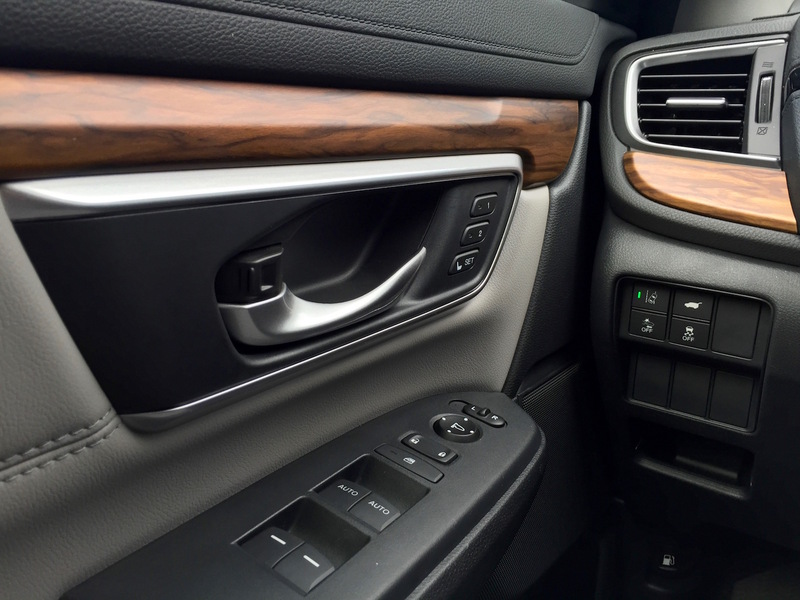 Low-gloss plastics and credible attempts at dashboard stitching and wood trim make it a nice place to be. 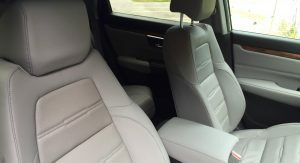 Even the stitching on the front leather seats looks inspired by a Citroen, rather than a Chevrolet. 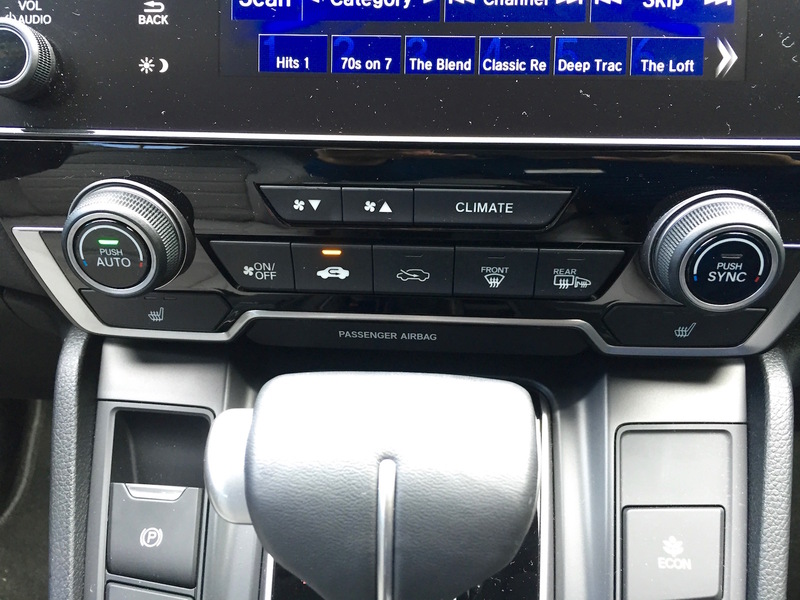 Yes, the volume knob is back after a few years of wandering in the touch-capacitive control desert. But the system is broadly the same as in recent Hondas, which isn’t a compliment by any means. 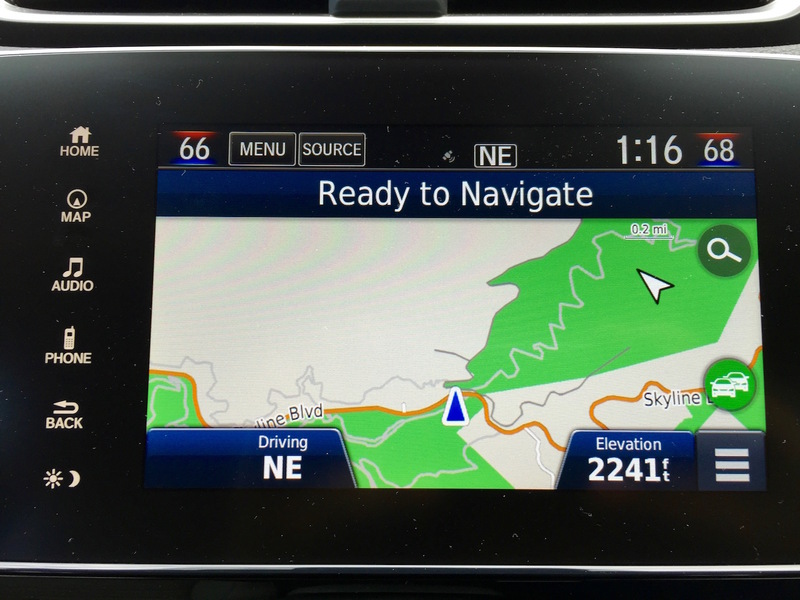 While the screen itself is clear, it’s still hobbled by being somewhat slow to transition between menus or modes, especially when it’s also tasked to shift in and out of Apple CarPlay or Android Auto modes. 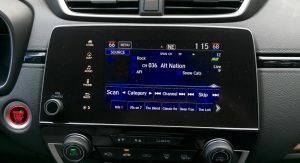 A simpler radio is still standard on base LX models. 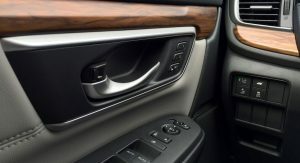 The knob, however isn’t the biggest news inside the CR-V, though – it’s actually about how big the CR-V is inside now. Honda’s people say the cargo area is a full 10 inches longer than before, and there’s little to doubt their claims. 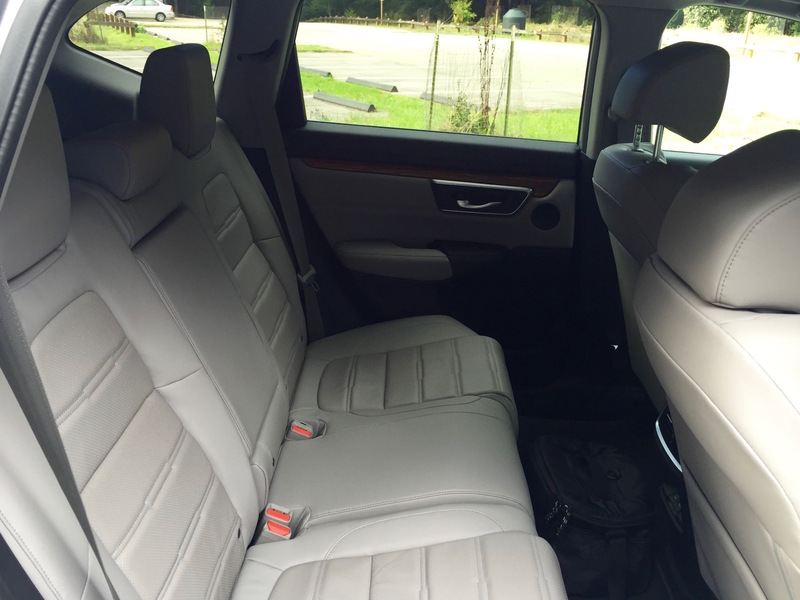 Better still, the seats fold flat with one motion for each side of the 60/40 split. 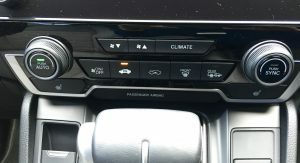 Even the rear passenger footwells are largely flat, meaning fitting three people shouldn’t be much of a challenge – a claim not all of the CR-V’s rivals can make. 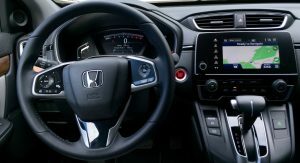 Honda is also loading up on equipment that has become widespread among compact crossovers, with all models getting automatic climate control and active noise control, while EX and higher grades get the digital dash from the Civic, push-button start and keyless entry and blind spot monitoring replaces the old LaneWatch camera. 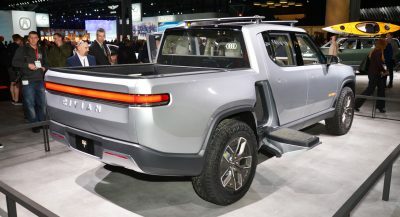 The Touring model is now equipped with a hands-free power tailgate if you like waving your foot around while your hands are full of groceries. 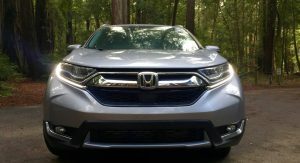 The LX is still equipped with the 2.4-liter four from the old CR-V, but Honda knows only bargain shoppers will go after that version. Three-quarters of CR-V buyers will get a version with the 1.5-liter turbo four that’s based on the engine offered in the new Civic. 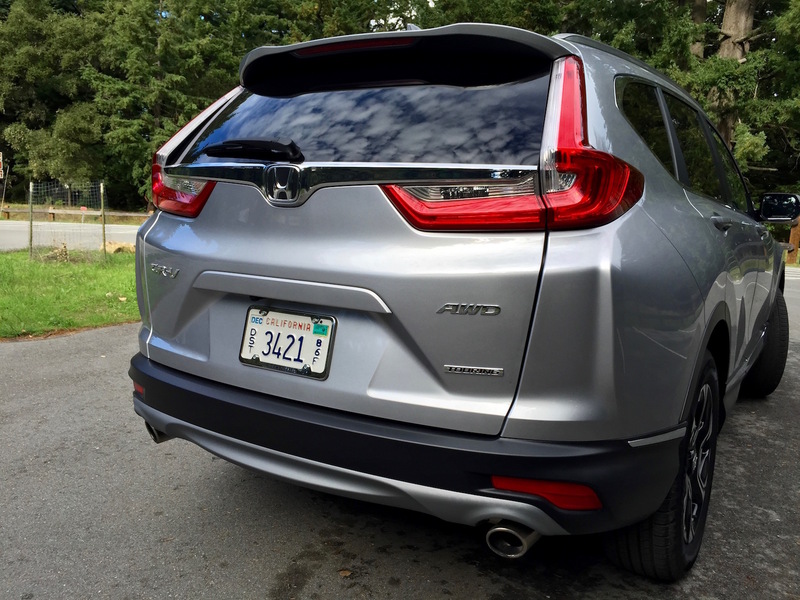 In the CR-V, it’s rated at 190 horsepower – six more than the 2.4 and 16 more than in most versions of the Civic. Weirdly, however, the naturally aspirated 2.4 makes 1 more lb.-ft. of torque than the turbo. Not that it mattered much in our drives through Northern California that were limited to all-wheel drive Touring models. 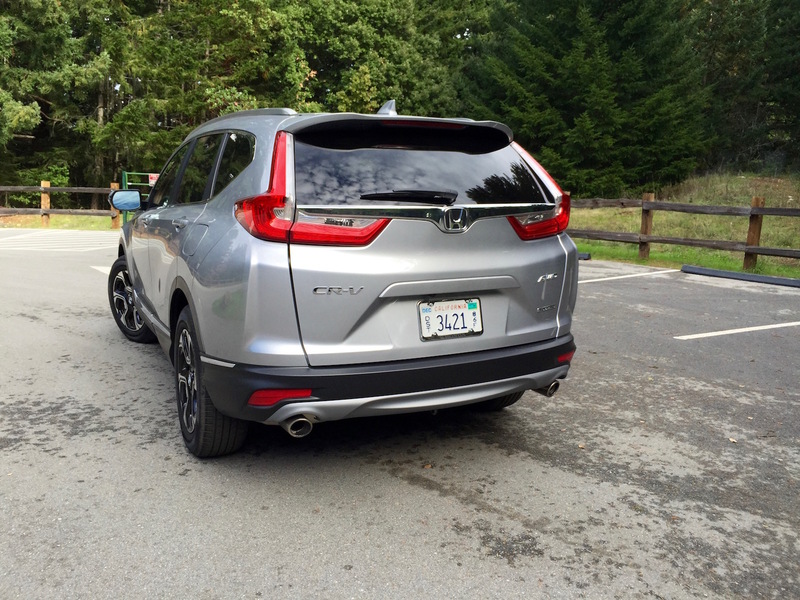 Similar to the Civic, there’s a newfound refinement to the CR-V, even if it feels more solid than energetic. 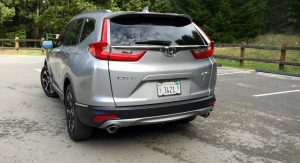 But it’s certainly among the most quiet among crossovers of this class, and even the CVT is less prone to droning now that it seems to like the flatter torque band on the turbocharged cars. 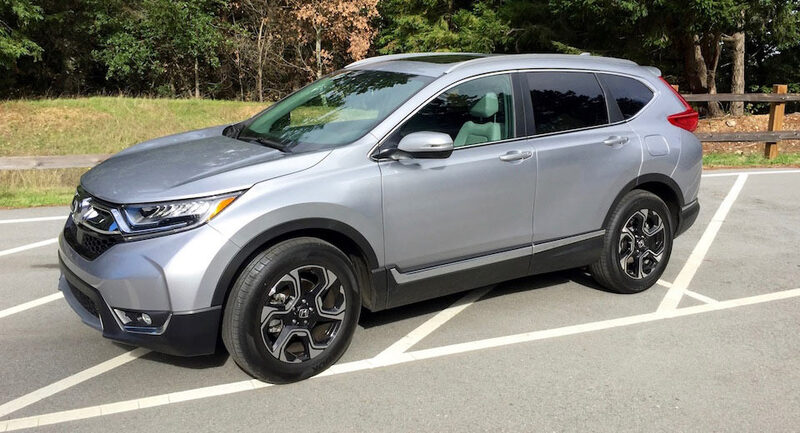 Yet despite that torque curve that keeps going from 2,000 to about 5,000 rpm, the CR-V never feels particularly rapid nor frisky. 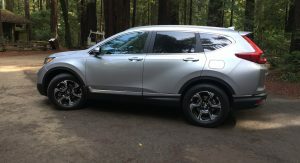 Driven against a Ford Escape also with a 1.5 turbo, the Ford’s more compact size and geared transmission gave it a more playful attitude in the corners, feeling more like a hatchback than SUV. 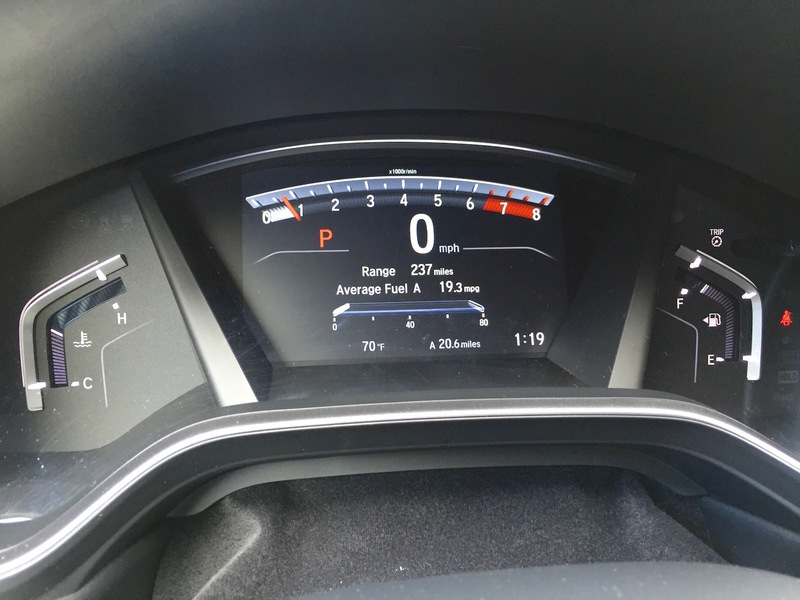 Quicker steering was added to the new car, with Honda reporting 2.3 turns lock-to-lock versus 3.1 on the old car. 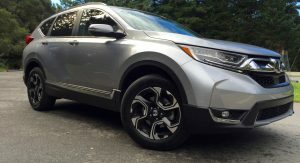 While steering feel is just OK, the CR-V doesn’t feel large in crowded parking lots, likely to the delight of most of its buyers. 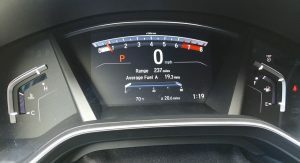 Another worthy addition to the features roster on EX and higher grades is the Honda Sensing suite of driver assistance technologies. 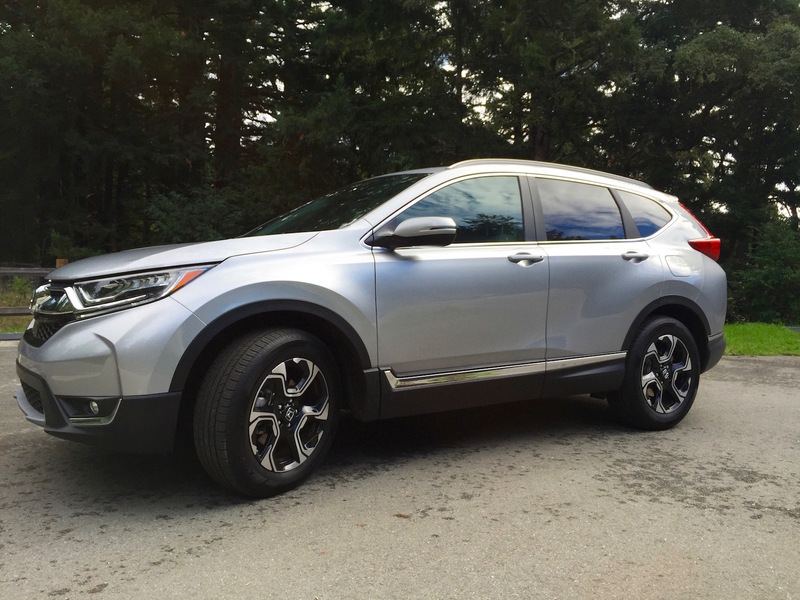 Adaptive cruise control with stop-and-go assistance, lane-keep assist and forward collision alerts now come on most CR-Vs. 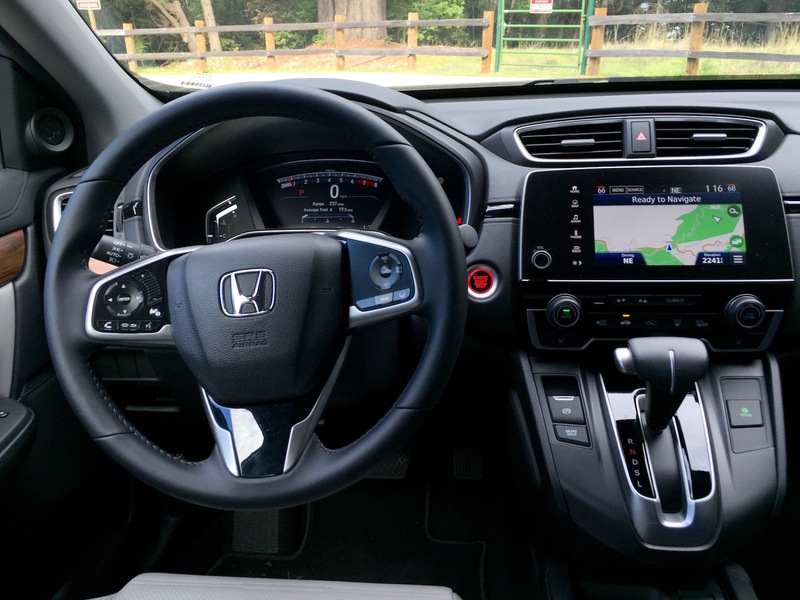 The systems also feel upgraded compared to the Civic and Pilot, even if they still lack the precision of the best adaptive programs to instill a lot of peace of mind. 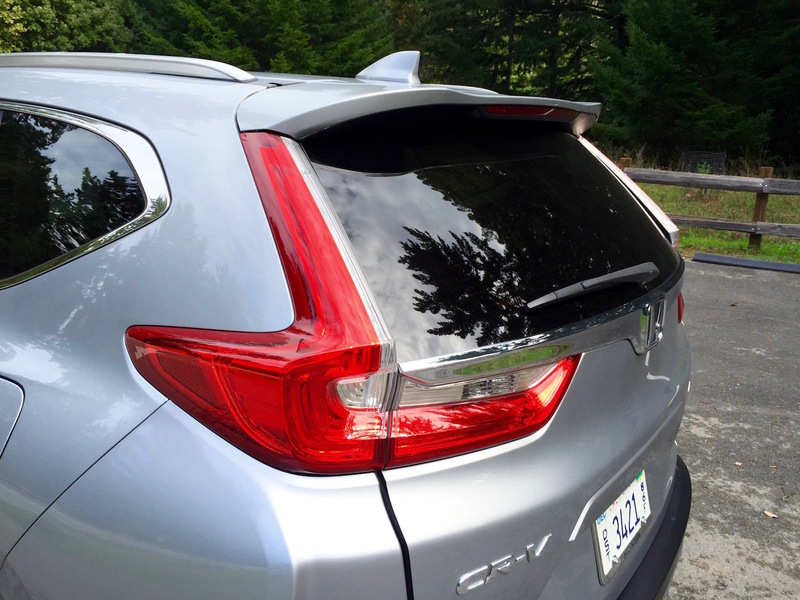 But then it was never really fatiguing to drive the new CR-V, even when stuck in city traffic. Its dimensions seem spot-on for every situation, its road manners now more sophisticated and quieter. 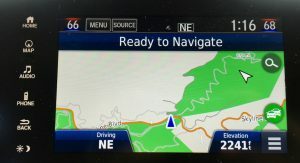 Which makes me think few will ever use its newly available Driver Attention Monitor. 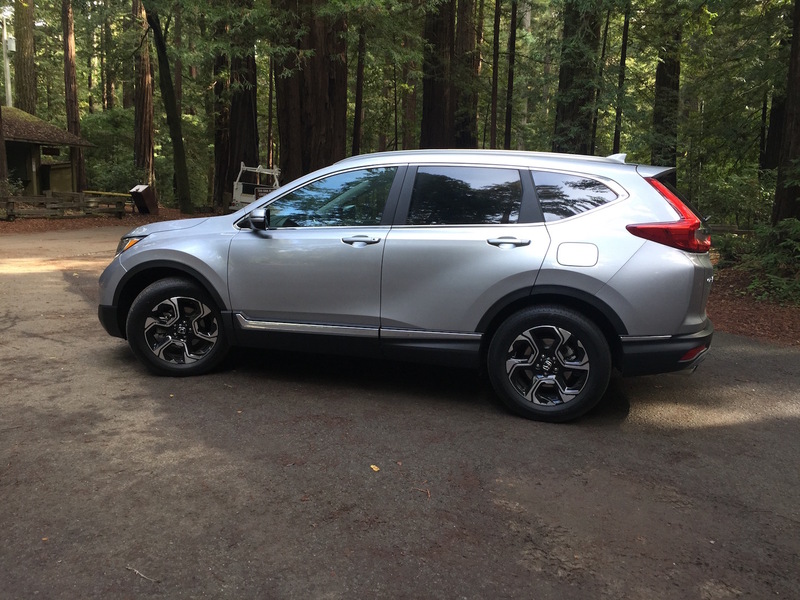 For all of its newness and improvements, the 2017 CR-V’s price bump over the 2016 model is modest. 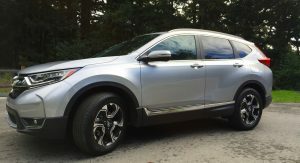 The base LX rises just $200 over the old car, starting at $24,045 before destination when all the new CR-Vs go on sale right around Christmas. A high-trim Touring goes for $32,395. All-wheel drive is a $1,300 option. 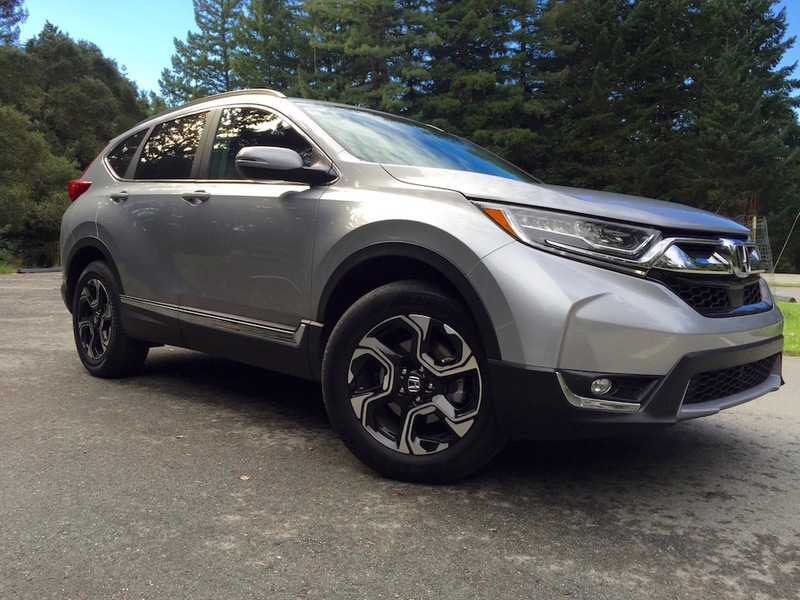 Few are likely to take a look at the 2017 CR-V and be stopped in their tracks. But that isn’t what the CR-V needed to do. In 20 years, it’s gone from being a Japanese-market oddity to being exactly what so many new car buyers want – a demonstration of common sense in packaging and pricing that the Accord and Civic were long known for. 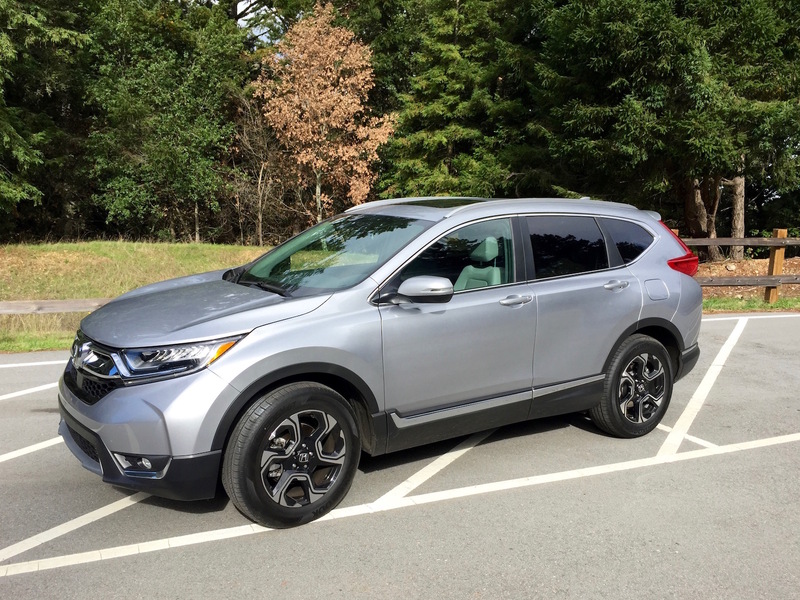 While it certainly isn’t exciting to look at, and some rivals do corners better, the new CR-V still sets the bar for what a compact SUV should be. As hundreds of thousands of buyers will likely agree with. Don’t bother arguing with them, you’re just going to lose. except in the looks department. Came here to essentially say the same thing. Looks to me are a dealbreaker. If I can’t look at it, I don’t care how good it is. 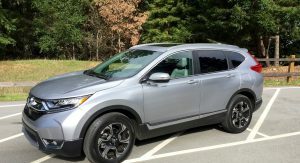 Since when has the CR-V been the one to beat? Certainly not in Australia. Not here either. And sales numbers don’t mean squat, overall for quality and quietness it’s definitely not a leader. 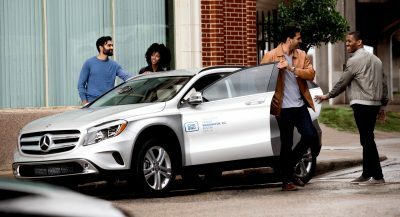 It’s one of the top ten best selling vehicles in the world, the second best selling CUV behind the RAV4. Australia is too small a car market to gauge the success of any car. Sales numbers don’t automatically make a car good and the one to beat, otherwise the Corolla would be considered one of the best cars ever. I’d rather have a lesser selling better car than a higher selling not so good car. I said here the RAV4 has a bad interior. I also said I preferred driving the Escape. Looks are subjective and if you’re a driving enthusiast, the Ford or a Mazda might be better. 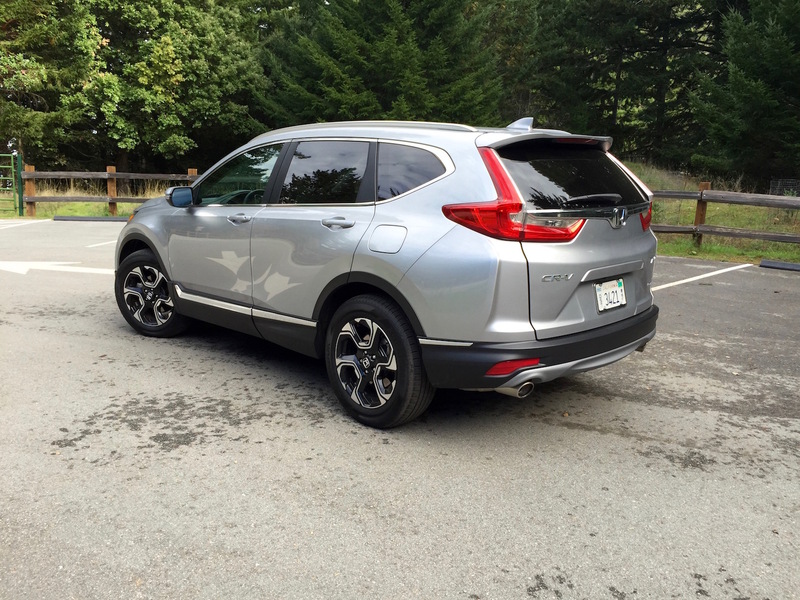 As an overall package, though, the CR-V wins in my book. But again, I’m judging from a U.S. market perspective and this is a U.S.-spec car. 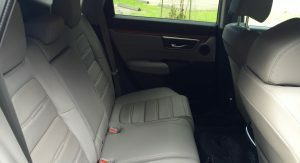 Probably a nice car with nice quality, but the design is horrendous and interior is vomit-worthy. Japanese manufacturers need new designers. ..except Mazda. They just need more engine options. Here, here! Loving the interior and exterior of my Mazda 3 plus the smoothness of the 2.5-liter, but I’m wanting a bit more power. Maybe in the range of 230-ish. 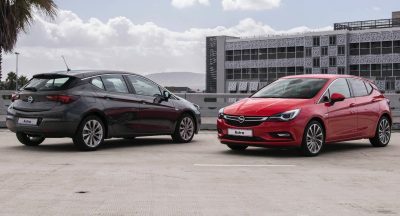 Isn’t the Tiguan the small SUV to beat? U.S. hasn’t received its new Tiguan yet so, yes, things could change here. But then the rest of the world hasn’t received this CR-V yet, so. No according to sales. The Tiguan comes in 7th worldwide. The CRV 2nd right behind the RAV4 at the #1 spot. Tiguan lacks modern technology., Add to that premium fuel that only delivers 20 mpg. 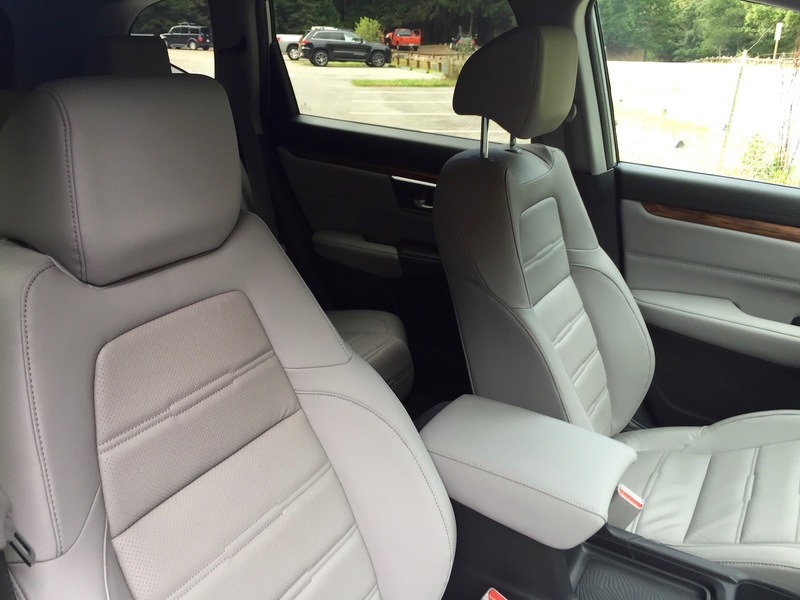 Interior finally does not look 15 years old. Looks a better car than it’s predecessor, but the journo sounds not altogether impartial? 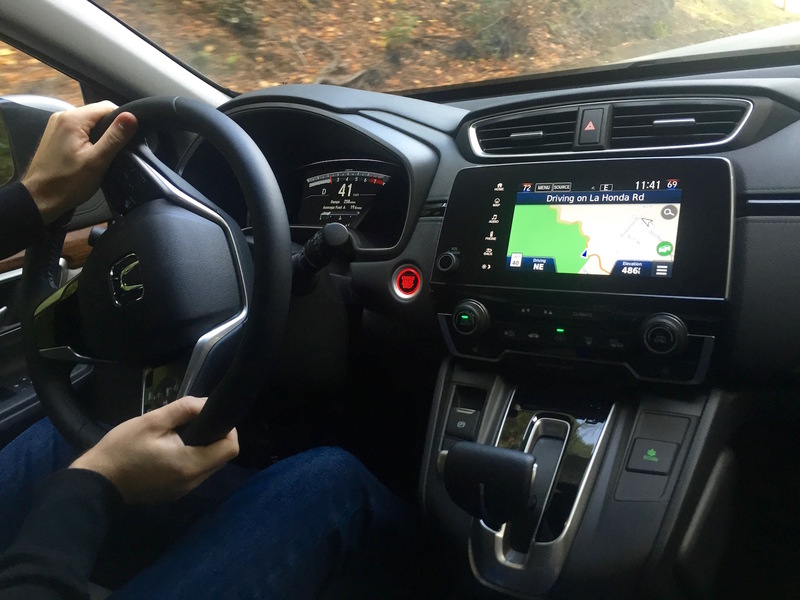 I recently drove my brother’s 2016 CRV on a 1,000 mile trip, and it was a terrible car. Steering was imprecise, it handled like a boat, and the interior was cheap and tawdry. Don’t tell my brother I said so. I hope for everyone’s sake the new model is better, but based last year’s model I’m not interested. 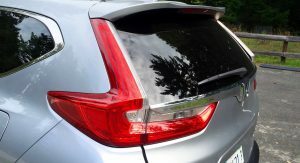 I am happy that the new rear taillights look a little less like the previous model, which were a shameless XC60 ripoff. Not bad, but they are missing a lot of features that the competition has now.